When AB de Villiers or Virat Kohli brings the entire force of his batting might to bear on an opposition, the result is a particularly brutal form of carnage. When both do so in the same innings, the devastation is nuclear. Such was the case on Saturday afternoon at the Chinnaswamy Stadium. 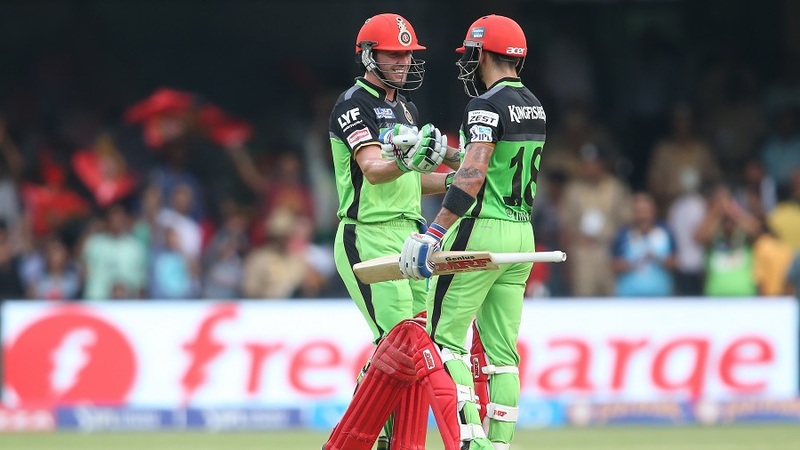 The two batsmen made near-perfect centuries to power Royal Challengers Bangalore to 248 and set up a 144-run victory - a record margin in the IPL -over the shell-shocked Gujarat Lions. 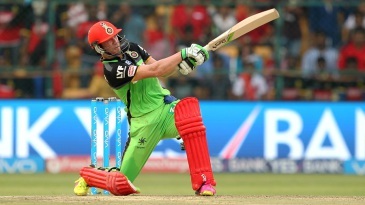 De Villiers' unbeaten 52-ball 129 and Kohli's 55-ball 109 decimated an increasingly feckless and indisciplined bowling attack; they required just 96 balls to put on a T20 record stand of 229. It was also only the second instance of two batsmen scoring centuries in the same innings in 5703 T20s. As the innings unfolded, a stream of boundaries became a raging river, with 15 fours and 20 sixes sinking the rickety boat on which the Lions bowlers were cowering.